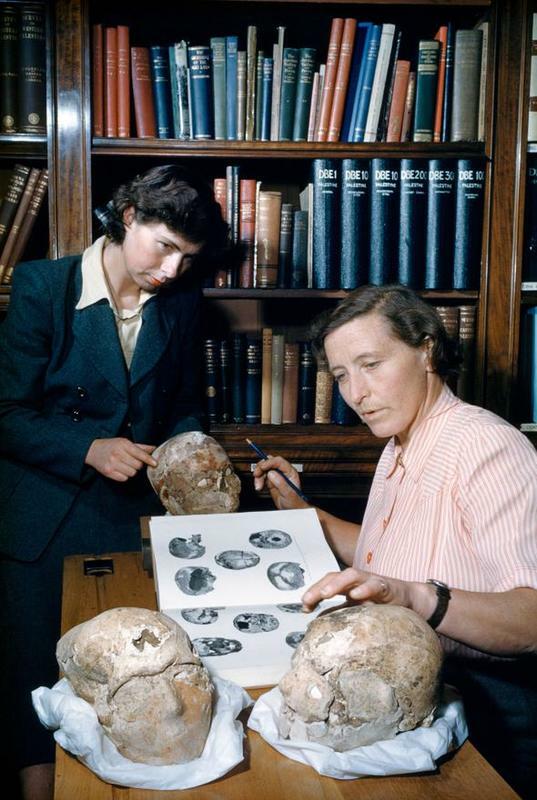 Excavated by archaeologist Kathleen Kenyon in 1953, the Jericho Skull is one of seven plastered and ornamented Neolithic skulls located at the site of Tell es-Sultan, along the modern West Bank city of Jericho. Originally stuffed with soil, all seven skulls were made to support delicate facial bones prior to applying wet plaster to create customized facial features, such as ears, cheeks and noses. Small marine shells served as eyes, and few skulls bore traces of paint. 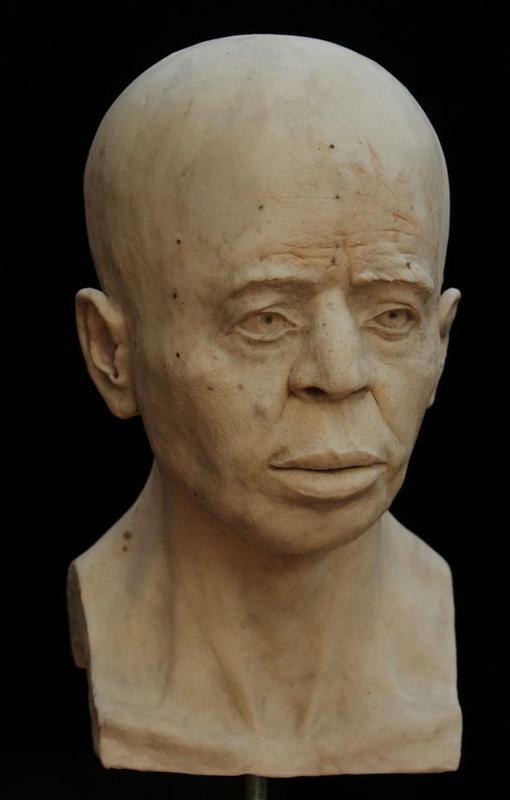 While researchers generally conform that the objects depict an early form of ancestor worship, too little is known about the person chosen to be immortalized in plaster several thousands of years ago, and why. The Jericho Skull is recognized as the oldest photo in the The British Museum collection, and its most enigmatic, until today: a truncated human skull covered in worn plaster, with eye sockets set with simple sea shells that stare out blindly from its display case. 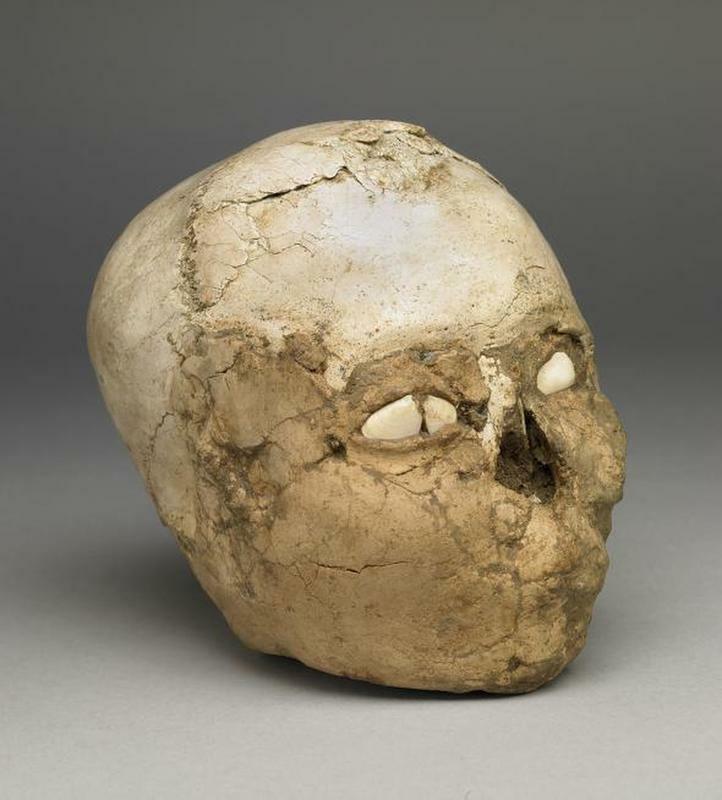 Today, thanks to digital imaging, 3D printing, and forensic restorative techniques, experts have reverse-engineered the ancient plaster-stuffing ritual and incredibly recreated the face of the person inside the Jericho Skull — turns out to belong to a 40-something man with a broken nose. This interactive 3D model of the Jericho Skull was made from thousands of micro-CT scans. Clicking on the annotations will let you learn more about the features of this ancient ritual artifact. © The Trustees of the British Museum.